I would agree with some this is really what Sonic looks like today. I first learned about Khumba in the weirdest way possible…and that is through a furry music video, pacifically one by Ibolt. The video itself is a good one, but what intrigued me was the song ‘The Real Me”. Standard searches did not match anything save for You Tube video that was when I discovered the song was sung by Loyiso Barr, a South African singer, which he performed for the South African animated movie Khumba. After seeing the trailer I found the plot intriguing. A half striped zebra born to a heard that guards it’s merger water supply with a ring of thorn bushes. Because Khumba is half striped the heard blames him for why there is no rain. That and having his mother die, plus a mathis giving him the map to a magic spring where he could get his stripes and bring the rains back. Is more than a little interesting to me. I was very lucky to find a copy of the DVD at my local Target for $5. Once I popped the DVD in to my player I was drawn in to a world that I didn’t know. Look here in America we get a lot of American or European version of what they think. But to see the real thing created by those who live there. It was like stepping into an alien world…and best of all you didn’t want to leave. Once Khumba starts to explore his world. That is where the magic begins. The character ranging from a wild dog, whose pack doesn’t respect there leader, an ostrich who loves ballet, and an over protective female water buffalo you are hooked. There is a villain to this piece his name is Phango voiced by Liam Neeson. A one eyed leopard who is so determined to fulfill the prophesy of when a leopard confronts a half striped zebra, the winner shall become invincible. That he killed his entire pack so he could be the winner of that battle. Truly one of the 10 best animated villains of all time. Like any good folk tale, Khumba is filled with marvelous characters, interesting friendships, when the wild dog I mentioned befriends a sheep. 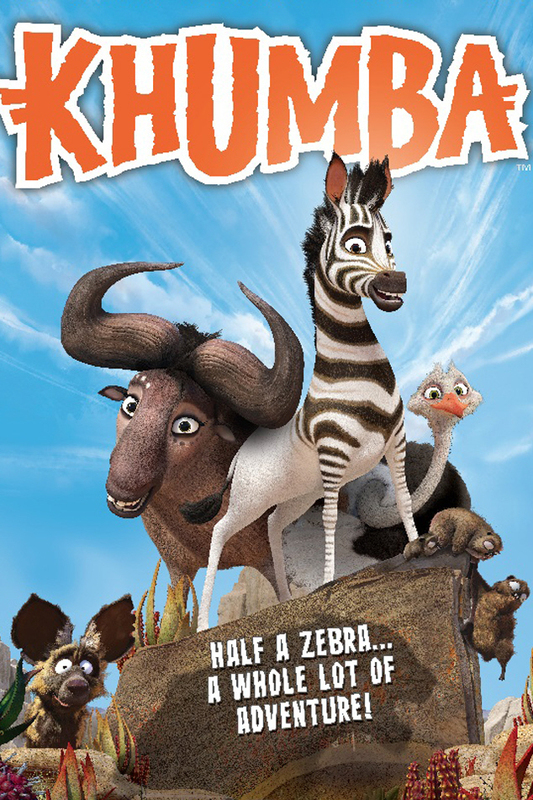 Khumba is worth it, if you love good stories and something different go buy Khumba you will thank me later.